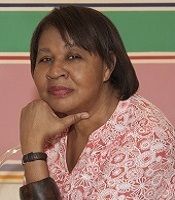 On October 2, 2014, I attended Jamaica Kincaid’s lecture and reading at Skidmore College, Saratoga Springs, New York. It was more than an author presentation, as the evening began with the conferring of Kincaid’s Honorary Doctorate of Letters from Skidmore College by President Phillip Glotzbach. 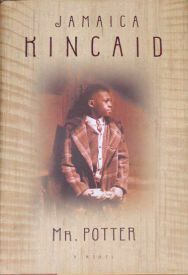 Kincaid has written a wide range of books, including novels, memoirs and polemical works, such as Annie John, Lucy, At The Bottom of the River, Autobiography of My Mother, Mr. Potter, and A Small Place. 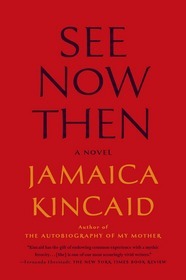 In 2013, she published See Now Then, which critics have compared to Kincaid’s own life. 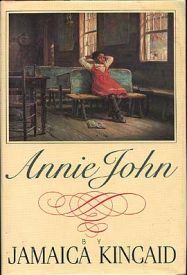 The novel’s wife and mother character, Mrs. Sweet, resembles Kincaid as an avid gardener whose marriage to a composer ends in divorce. Kincaid, however, has said that critics who classify the novel as a masked autobiography are diminishing her work. At the time of Kincaid’s presentation, I had just worked my way through the first twenty pages of See Now Then. I only knew the author from what I had read, “unabashed rage” (Ms. Magazine), “scouringly vivid prose” (New York Times Book Review), “depressing and nihilistic” (Mother Jones), and I worried that maybe I should hold onto my seat when she took the podium. I guess I expected gale force words that would blow my curly hairdo straight. But that never happened. But, oh yes, she did. Kincaid discussed her writing. She stated that she had a certain idea about writing that she almost never talks about. Kincaid responded to a question concerning categorizing her fiction and nonfiction. Kincaid responded to a question about legacy. Thank you, Jamaica Kincaid for your honest wisdom. Thanks also to Skidmore College for opening this and other valuable presentations to the public. 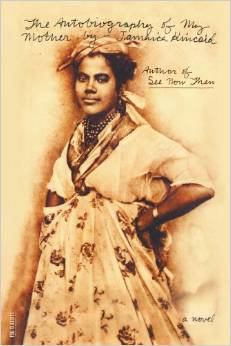 A native of Antigua in the West Indies, Kincaid was discovered by the New Yorker magazine as a very young woman. She is a professor at Harvard University and a long-time visiting writer each July at Skidmore’s New York State Summer Writers Institute. Categories: Uncategorized | Tags: authors, Jamaica Kincaid, Skidmore College, writing | Permalink.